So instead of just telling our users about these tools and leaving them to then navigate their way by themselves (or not, as the case may be, given that only about one in forty scholars are active on Twitter), is it time for libraries, information centres, and knowledge managers to be taking on this role for our researchers instead? As Tim rightly points out, marketing and promoting research is one of the traditional value-added services that journal and book publishers offer, promising to get your research seen by the right people on the strength of their brand, connections and network. But should libraries not be looking at doing this too? After all, connecting people and information is one of our most intrinsic values. This could mean compiling Twitter lists of researchers for others to subscribe to; generating automatic feeds of IR deposits and new publications to embed across various social media platforms; following and engaging with scholarly societies, media channels and funding agencies to promote research to its target audiences. We can even package and brand this service as an incentive to use our institutional repositories if desired. 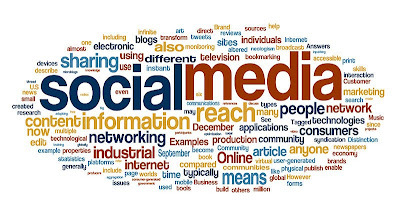 However, the social media spectrum is potentially endless, so communications need to be designed in the most strategic, appropriate and efficient way for the specific discipline and audience in question. But our faculty and subject librarians have this knowledge already. Where do computer scientists and tech companies hang out online to find information? How do arts and humanities faculty discover new publications? In those cases where the primary audience may be somewhat removed from the online world, we need to think about how we can integrate these new channels and technologies into existing workflows and behaviours. Or maybe this is not a space that libraries should be looking at? Should we leave this role to our institutions' research offices (where they exist that is, but in smaller organisations what is the alternative)? If we do, the danger is that we may miss an opportunity to leverage our existing strengths to increase the value of our services to our user communities. I recently came across this interesting piece of research which looked at Israeli librarians’ perceptions of technological innovations within the context of their line of work. In particular, Noa Aharnoy considered how gender, age, workplace, role and smart phone use affect librarians’ ideas about mobile library services. Aharnoy utilised the Technology Acceptance Model (TAM) for her study and focused in particular on the two variables of “perceived usefulness” and “perceived ease of use”. She also brought in two additional variables: personal innovativeness and smart phone usage. 800 librarians from the academic, public and special libraries sector were asked to fill in a personal details questionnaire and a mobile technology questionnaire. 153 responses were filed. Unsurprisingly, the results of the study indicate that the more respondents use smart phones, and the higher they perceive themselves as innovative, the higher their motivation to use smart technologies (Aharnoy, 2013: 365). At the same time, it was interesting to see that participants did not perceive their age and gender as having any effect on them using technology, or their propensity to use technology in the future. This is explained by the fact that mobile library services are quite new and are relatively easy to use. The question of embracing mobile technology is not one of personal choice. The reality is that large chunks of today’s academic library materials reside in the digital world. It’s also evident that mobile device use and their use for information seeking among students is popular and on the increase (see 2012 top ten trends in academic libraries). Consequently, libraries have a responsibility to get on with this fact and fill the needs-gap for a mobile library website that offers what students require when they’re on the go (or on the couch). A basic setup should consider library location, collection search functions, opening hours and contact details. A good starting point is the libsuccess Wiki on M-libraries, which includes a link to 7 tools to create a mobile library website. A more sophisticated approach is minlo. I was extremely flattered when I was asked if I would be interested in discussing my recent paper in JIL, "Developing an evidence-based practice healthcare lens for the SCONUL Seven Pillars of Information Literacy model", at the next Information Literacy Journal Club session. By way of background, the idea for the paper essentially came out of my experience working in a hospital library - a very different context to a research or academic library, and one where the focus is on identifying, using and integrating evidence and information with clinical practice. We often think of information literacy in a purely education context, but recent reports such as Project Information Literacy's "Learning Curve: How College Graduates Solve Information Problems Once They Join the Workplace", highlight it as a very real issue for lifelong learning, the workplace, and everyday life. Whilst I often refer to and use a number of IL models in my instructional practice (particularly ANCIL), the SCONUL Seven Pillars Model struck me as a useful framework for developing an Evidence Based Practice Model for a couple of reasons. Firstly, the 2011 revision increased the emphasis on skills and behaviours compared with the older version, and so I felt the SCONUL model was a bit more 'up to date' than the ACRL Standards for instance, which are currently being revised. But the primary reason was the lens feature, which allows the original generic core model to be adapted for specific user groups and needs, to increase the context and relevance. 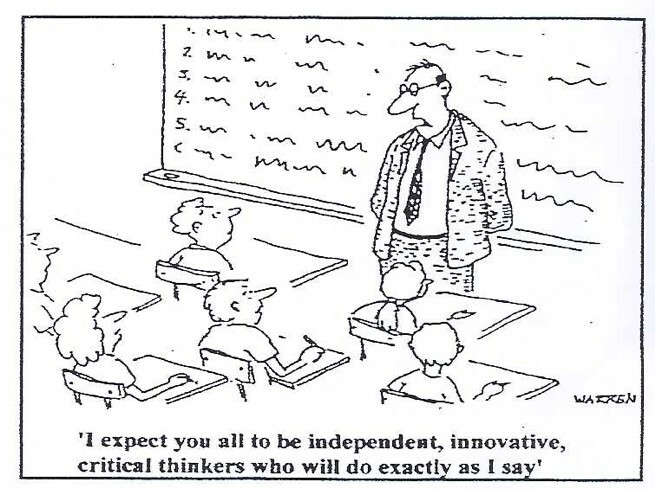 There is currently a research lens, a digital literacy lens, and an open educational resource lens. This flexibility was a big attraction, as I felt I could tailor the basic model, to incorporate the specific needs and information problems of clinical staff based on their feedback from interviews. The lens format can potentially be adapted for lots of different user groups, and I would love to see additional lenses developed in the future. I would love to hear any comments people may have regarding the paper, and the use of the lens in practice. One of the biggest limitations with the study is the small sample size, so I think a larger study may produce even richer data. Or perhaps other groups, such as GPs, could be a useful population to study to compare and contrast information behaviours. I'm looking forward to lots of discussion on the 28th! (For those new to the online Journal Club, the discussion takes place through blog post comments, so you can still read and participate after the event). For those seeking a shorter version of my paper, I also have a slideshare from a recent pecha kucha presentation on the full paper. While some librarians are for- and some librarians are against- open access, I sit in the former camp. I am not going to preach about the benefits of OA, which are well documented, I’m just going to state that for me and others, including governments, the debate on OA is over. It is an inevitable progression of scholarly communication in the digital information age. Furthermore, it is an important evolution of science & knowledge. 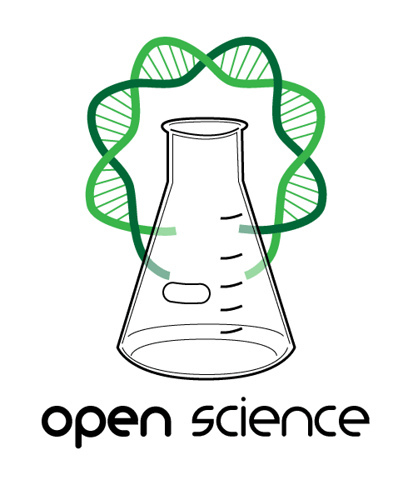 How we implement OA via Gold or Green is however worthy of discussion. It will be interesting to see how the UK fairs out in this regard, especially when most other English speaking countries and areas are going the Green route (USA, Ireland, Australia, EU). When advocating for OA I find it is useful to start with policy and it’s important to keep up to date with this area as it is evolving. For a good global overview on OA policies please see this Canadian overview and this Australian overview. The next challenge is infrastructure and the EU has been stepping up progress in this regard, by providing a dedicated site with resources for Repository Managers, Researchers & Project Co-Coordinators on OpenAire. 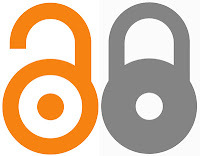 In some EU countries (Denmark, Bulgaria, Croatia, Finland, Germany, Hungary, Iceland, Ireland, Italy, Lithuania, Netherlands, Norway, Romania, Slovakia, Spain, Sweden, Turkey, UK) national open access groups have formed to look at policy and its implementation particularly with regard to Horizon 2020 funded projects across European countries. Moving on from policy having a picture of what’s happening in open access in Ireland is the next step if advocating for OA. In Ireland we have a National Steering Group on Open Access established in 2012 representing 17 agencies. RIAN is the portal for Irish research output, which does not yet represent all repositories in Ireland, but this is something the Steering Group is progressing. The EU entry for Ireland on OpenAire provides a good overview. In the health system, I will have to mention Lenus which I manage and it aims to capture research by any healthcare practitioner particularly those working in hospital and community settings who would not always have a university association. Aside from the university based repositories there is the Health Well which strictly speaking is not a repository but is an interoperable portal capturing outputs from repositories and other sources on the island of Ireland. The RCSI has epubs capturing RCSI research and the HRB has its National Documentation Centre on Drug Use which hosts a unique collection of Irish drug and alcohol research. The next big thing is big data, and particularly big datasets in research. 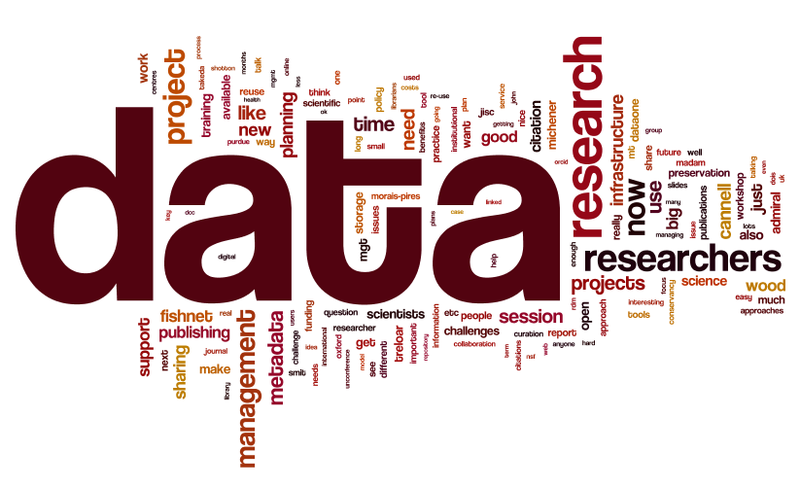 Ireland are hosting the third Plenary for the Research Data Alliance in Dublin on March 26 to 28, 2014 which should offer some interesting insights into this vast area. Librarians have moved into new roles related to OA – they are managers of repositories and research advisors. But what are librarians doing about capturing their own research, and are they making it available in open access repositories? In the health sciences there is a collection in Lenus called ‘LIS’, which recently had to be explained to researchers in one of our Labs who were delighted as they thought this was their collection. However when it was pointed out that it stood for ‘Library & Information Science’ the interest faded. This collection is specifically for LIS professionals working in the health system in Ireland – so if you have published, presented or had a poster at a conference please submit it to Lenus. OA is not just about dissemination and access; it’s about preservation which sometimes gets overlooked. A mention has to go here for progressive initiatives in this area: OALIS being one and the Academic Writing Librarian Blog being the other. In terms of professional library organisations, IFLA recently announced that they have bought a repository due for launch later this year. It will host all 2013 World Library and Information Congress (WLIC) papers, existing IFLA standards, and a selection of advocacy documents. The Journal of the Medical Library Association (JMLA) of the US is openly available in PubMed Central and Journal of the European Association for Health Information and Libraries is openly accessible but the conference proceedings are harder to find. LISTA is a unique collection of LIS research but the fulltext is not always available as the name says ‘Library, Information Science & Technology Abstracts”. As Michelle rightly pointed out, we don’t all have access to LIS research. Perhaps a case for an international repository for medical or health librarianship is merited? Aside from setting up or managing a repository, finding champions or advocates for OA within your organisation or further afield can help. As part of advocacy and developing a shared learning for OA, I interviewed Susan Michie who is a co-editor of the OA journal, Implementation Science (the interview is available to download as a podcast from lenus). Susan was here for a summer school run in TCD last August on this topic and I had an opportunity to talk to her from both a researcher and publisher’s point of view, on the value of Open Access. This Podcast maybe useful for others who wish to advocate for Open Access. It is useful to put your organisation’s OA statement on the Library website or if your organisation doesn’t have one, you could point to the National one. In the HSE, we have put up information on the position statement and OA on the website. Finally the international open access week is on every October, this year it will be during 21-27th October. Keep up to date or plan your own event and add it to the blog. I know I will be. Please get in touch if you’d like to co-organise an event. 5) organise an event during international OA week – you can be as creative as you like! I attended the First European MOOCs and Libraries Conference, “MOOCs and Libraries: the good, the bad and the ugly” in Central London on July 12th 2013. This event was hosted by the Open University Library in partnership with OCLC Research and JISC. The aim of the day was to “focus on the challenges MOOCs pose to the traditional delivery of library services, and the opportunities they offer for libraries to rethink and revitalise their proposition”. The morning part of the conference concentrated on updates on MOOC development in the UK. Unfortunately due to a flight delay I missed the first speaker, Hugh Davis of Southampton University. However, I was just in time for Sian Bayne, a Senior Lecturer at the University of Edinburgh, who spoke about developing, designing and successfully running six MOOCs with Coursera covering a wide range of topics. Sian spoke particularly about the MOOC on “E-Learning and Digital Cultures” and how the participants used open access resources, videos, articles, readings, Google hangouts, blogs, Twitter etc. during their participation in the course. Some participants relished this kind of interaction whereas some felt it was overwhelming. Feedback also raised the concern of the lack of a visible presence of a “teacher”. This is something that will be looked at in their review process. 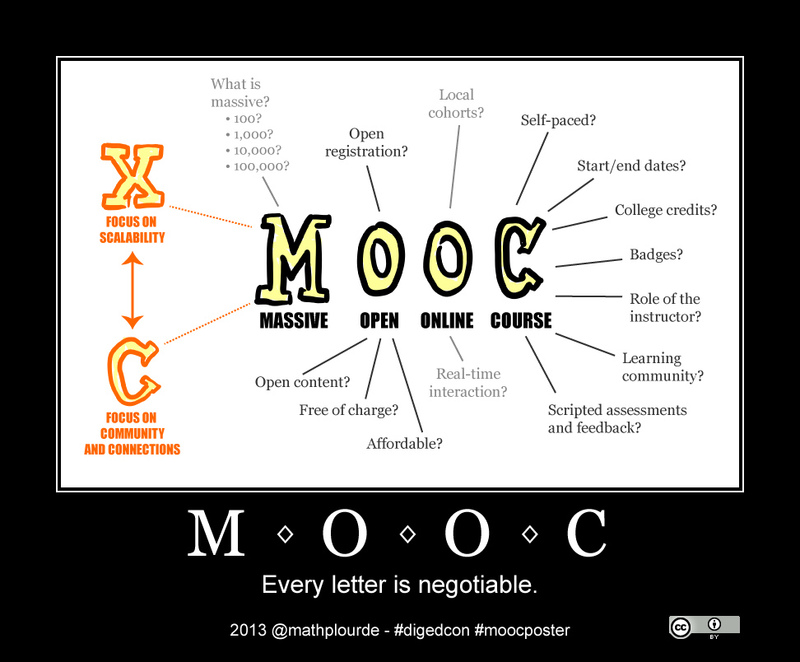 A full MOOCS @ Edinburgh Report can be found here. Next up was Merrilee Proffit, Senior Program Officer for OCLC Research. Based on OCLC research, Merrilee spoke about the involvement of some libraries in the US with MOOCs. Libraries that have been proactive in their involvement possess strengths that matched the needs of MOOC development such as copyright expertise, resource expertise, knowledge of licensing, fair use knowledge, linking, library research and instruction. The OCLC research showed that MOOCs are highlighting the fact that libraries need to rethink, for example, information literacy and how we can (and should) adapt it to support this form of teaching and learning. The rising cost of Higher Education in the US is one of the main reasons for the continuing fast-paced emergence of MOOCs there. In conclusion, Merrilee suggested attendees sign up to a MOOC to become more aware of that kind of MOOCs are available and get thinking about how libraries can participate in them. Following on from Merilee was Jennifer Dorner of the University of California, Berkeley. Jennifer spoke about the MOOC experience offered by Berkeley. There was an initial lack of involvement or consultation with librarians at the outset, however, they became more involved when some librarians got together themselves to look at their ‘perceived’ role and potential for development. University of Berkeley librarians decided to focus their support on the ‘teachers’ rather than the MOOC participants directly as they felt this would be unsustainable. This librarian working group also are looking at developing a Research Skills MOOC including looking at helping MOOC participants navigate open resources, be aware of and how to use these resources. This nicely followed up a point made by Sian Bayne earlier regarding information overload among participants and how to ensure its avoided. The second part of the day had one formal presentation from Sally-Anne Betteridge, a Graduate Trainee from the University of Birmingham who is a regular MOOC participant. She spoke of her experiences in participating in MOOCs. Her first MOOC was one in Gamification, she then participated in the “E-Learning and Digital Culture” which Sian spoke of earlier in the day (her favourite MOOC so far), she also signed up for “Aboriginal World Views on Education” and “The Camera Never Lies” – both decent MOOCs but lacked the excellent delivery of the University of Edinburgh one. Her general feedback was positive; certain aspects she preferred such as in-course assessments and certain content, use of Twitter instead of Discussion Boards and good interaction with fellow participants using social media. She disliked recordings of lectures (felt like an outsider watching these), endless multiple choice assessments, and difficulty of accessing some course resources (available in certain countries only). Overall she seemed to have enjoyed participating in MOOCs but didn’t feel like she got an ‘academic purpose’ from them so she wouldn’t substitute them for her formal education. However, following her participation in the Digital Culture MOOC from University of Edinburgh she did browse (and consider) their Masters course. All in all, I found the conference extremely interesting and thought provoking. MOOCs are very much in their infancy, however, they’re growing at a furious pace and it is vital that the library is aware of what we can offer in terms of support and development. access publishing with friends, researchers and indeed other librarians (it seems to me there are still many librarians who don't quite fully buy into it as a long-term vision - a post for another day perhaps!). 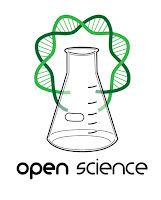 BioMed Central (an open access publishing platform owned by Springer) has compiled a list of their responses to 11 common myths highlighted in the UK's Select Committee on Science & Technology 2003-2004 inquiry into scientific publishing and open access. It is interesting that nearly ten years on, many of these same arguments are still being made by publishers and others. BioMed Central is obviously promoting its own interests at the same time, but most of the arguments are well-made and reasonably objective, and provide links to other useful resources. It is a nice, at a glance compilation of some of the key questions about open access that librarians may be faced with in relation to journal publishing in the Sciences. The summer months tend to create some spare time to learn about various goings-on in the wider library and information management community. I find webinars particularly useful for this as they tend to provide you with tangible and tested ideas that could potentially improve, or even transform, your own professional work context. At the end of the day, it’s all about improving and adding new services to your library, which in turn increase patron experience translating into happy and engaged library funders. The forthcoming free-of-charge webinars listed below cover the areas of 3D printing, mobile technology, social media use, IT literacy training, IL assessment and Library marketing. Ed Snajder introduces you to his open source 3D printer built from a kit. He'll talk about his experiences, from assembly and tuning, to modeling and printing. 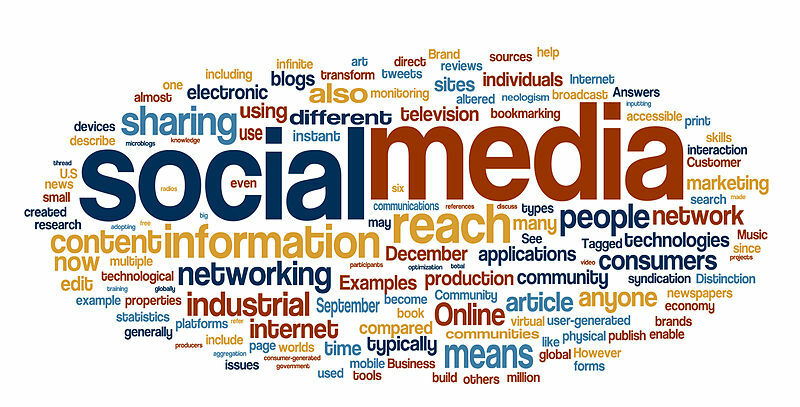 Over half of the world’s 2 billion internet users interact with social media tools to create, share, and exchange information and ideas while online. Libraries are using these tools to market programs and services, and to connect and engage with their communities beyond the library walls. Join us as we explore Facebook, Twitter, and Pinterest as examples of tools that are being used successfully by libraries. The webinar will cover how to create, administer, moderate, and leverage your library’s online presence. Some basic security settings for each social media tool will be discussed as well. Libraries are on the front lines of digital inclusion and digital literacy efforts across the state. This webinar will feature a panel of Texas library staff from Gilbreath Memorial Library (Winnsboro, TX), Rita and Truett Smith Public Library (Wylie, TX) and the Library at Cedar Creek (Seven Points, TX). Panelists will share their experiences planning and offering computer classes as part of their participation in the Technology Expertise, Access and Learning for all Texans project (TEAL). Is your library thinking about offering classes?- Join us to learn from the experiences of other libraries! Libraries play a critical role in their communities that goes beyond their collections, focusing on events, outreach and library as place. In an increasingly digital and mobile world, libraries need new ways to reach out and engage. Now with the new OCLC Library Spotlight program (www.worldcat.org/spotlight), you can set up a dynamic mobile view of your library and dramatically extend its visibility into many popular web services—in just 10 minutes. Learn about this free service, available to all, that will make it easier for your library to be found on the web and through highly trafficked services like Yelp. Hear how one library focused its messaging and engagement through coordinated efforts at a local level to maximize their web presence and reach. During the last Polite Debate Society, we addressed Information literacy from the teaching perspective... How to teach the Hard Stuff (Recording: http://lyrasis.adobeconnect.com/p42slccadgz/). In part 2 of the series, panelists from the information literacy community will spend 90 minutes discussing key issues in information literacy assessment. The teaching landscape for IL librarians continues to evolve rapidly. Assessment strategies used previously in the traditional classroom environment are challenging, if not impossible to implement in an educational setting where we use both the physical and virtual classroom, where technology dictates our approach to teaching so heavily, and where many deal with the pressure cooker of the "one shot" class. Still others are learning what kinds of assessment strategies are most effective in the semester long credit bearing information literacy course. In our Polite Debate Society session, our panel will review and critique some common assessment strategies, discuss what works and what doesn't in a variety of settings, and share ideas for best practices in information literacy assessment. Looking at the top ten strategic technology trends for 2013, Gartner noted: “The market is undergoing a shift to more integrated systems and ecosystems and away from loosely coupled heterogeneous approaches(1)”. The report goes on to say: “Driving this trend is the user desire for lower cost, simplicity, and more assured security. Driving the trend for vendors the ability to have more control of the solution stack and obtain greater margin in the sale as well as offer a complete solution stack in a controlled environment”. This is not to say the vendor develops and provides all the elements in the ecosystem. Apple is the obvious example here. It provides a platform for the ‘community’ (including Higher Education) to develop content and apps which are nonetheless delivered as part of an ‘ecosystem over which Apple exerts considerable control. If this is a trend for technology in general, perhaps it is no surprise to see it beginning to be reflected in the library system environment. For example, we are seeing a new generation of library systems integrating ‘discovery services’, which had previously been ‘decoupled’. Marshall Breeding remarked on this trend at the LITA(2) Top Tech Trends session at the 2012 annual American Library Association (ALA) conference: “As the back-end modernises and becomes more comprehensive itself, and has more hooks into the remote resources […] it reintroduces the opportunity to integrate discovery and back-end automation." As well as the re-integration of discovery services, these new platforms integrate back-end Electronic Resource Management (ERM) systems, which had been separate applications. For example, the ExLibris Alma Library Services Platform replaces both the Aleph library management system and the Verde ERM. So what is, or might be, encompassed by a library technology ecosystem? In the last century we spoke of ‘stand alone’ library management systems and by the late 90s these systems had become functionally rich with many ‘modules’ to manage different aspects of library management. With the advent of more digital resources, especially electronic journals and the web, things became more complex. Lorcan Dempsey summed it up in 2007: “One of the main issues facing libraries as they work to create richer user services is the complexity of their systems environment. Reductively, we can think of three classes of systems - (1) the classic ILS [Integrated Library System] focused on 'bought' materials, (2) the emerging systems framework around licensed collections, and (3) potentially several repository systems for 'digital' resources”. The number of elements or functions covered in such a systems environment – or ‘ecosystem’ – has grown over the years. In addition to the familiar modules of the library management system, the library may be responsible for, and have separate systems to manage, electronic journals and ebooks, reading lists, archives and special collections, local digital collections and the institutional repository for research outputs. The range of library interest and responsibility has also extended into other areas of Teaching Learning and Research, which involve library-like skills (classification, curation) as well as links to library-managed resources. In some cases the Virtual Learning Environment (VLE) is also the responsibility of the library. And, as research data gets more attention, some libraries are developing a role in, and acquiring systems for, Research Data Management (RDM). For the most part the landscape remains, however, one of silos rather than an interconnected, interoperable ‘ecosystem’. This is most obviously seen as users try to discover resources; navigating a number of systems with different search interfaces and methods of description and classification. Even such a basic element as a ‘name’ may appear differently in the library catalogue and institutional repository. Some libraries have managed to bring a number of these silos together under a unified discovery service umbrella but with only partial success. Harmonising metadata to provide a single central index across such diverse systems and, from a vendor’s point of view, across many institutions is not a trivial task. Jisc recently described the problem in the following way: “Over the years various metadata schemas and models have emerged, but clarity on the best metadata strategy to adopt or how to achieve interoperability between scholarly systems has been a hard nut to crack.”(3) It is not yet clear whether ‘more integrated systems and ecosystems’ or ‘loosely coupled heterogeneous approaches’ will win out; as we have seen, Gartner suggests the former. So as earlier generations of library management systems gradually encompass more and more ‘modules’ (circulation, cataloguing, acquisitions, serials, OPAC, etc), will a coherent ecosystem develop to knit together the now extended landscape of system silos? The trend seems to be that way but it is at a very early stage. As noted above, library resource management and discovery is becoming ‘unified’ across both print and electronic (primarily e-journal articles) resources. The manifestation of this is a number of next generation ‘library services platforms’. Vendors clearly have ambitions to extend the ecosystem to digital repositories and digital archives – for example, ExLibris positions their ‘Rosetta’ product in this way (4). However, progress remains slow and each ‘silo’ still retains distinct approaches to metadata and, perhaps inevitably, to workflows. The cross-domain Europeana project has mandated ‘semantic elements’ (5) (Dublin Core based) to bring some order to the field. The problem is recognised outside libraries, with Google and other search services cooperating on a common metadata ‘schema’ (6) that is gaining attention in the library domain. These do represent progress but in Jisc's view: “The use of schemas and also vocabularies associated with particular fields (restricted set of keywords/classifications) has been patchy at best”. As institutions work together and share library systems (7), the need for harmonisation of data and workflows increases. As technology moves to ‘the cloud’ and as libraries begin to share common cloud-based 'multi-tenant' library services platforms, the opportunity for a more integrated library ecosystem may grow. Higher Education is naturally wary of giving vendors 'control of the solution stack’ so may continue to value a ‘loosely coupled’ approach, perhaps containing strong elements of open source software and ‘above-campus’ community services. But in hard economic times, if a vendor-controlled integrated ecosystem can deliver “lower cost, simplicity, and more assured security”, as suggested by Gartner above, it may prove very attractive. Thomson Reuters' Journal Citation Reports, Incites and Science Citation Index have (rightly or wrongly) become landmark products in the bibiometrics landscape. With data management one of the hottest topics in scholarly communications at the moment, TR were unsurprisingly one of the first to move into the data citation space as well. 80% of the records included in the index are classified as Science, 18% as Social Sciences and 2% as Humanities & Arts records. Engineering & Technology is almost non-existent, accounting for less than 0.1% of the total records. The DCI uses three document types. 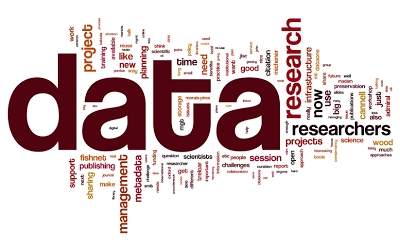 There are 96 data repositories, and the predominant typology is the data set which is 94% of the entire database. The third document type, data studies, comprise around 6% of the total records included in the index. 64 of the 96 repositories included in the index contain at least 100 records. However, there is a very high concentration across just four repositories, which together account for 75% of all records from repositories in the DCI: Gene Expression Omnibus, UniProt Knowledgebase, PANGAEA and U.S. Census Bureau TIGER/Line Shapefiles. As it is still early days for open data, data sets and data repositories, it will be interesting to see if and how these trends change over time.